Those who are fond of shopping among the most popular and prestigious international brands would find themselves in heaven on earth during their city break Dubai. The city hosts a huge number of quite impressive malls and many different stores that literally sells anything anyone would be looking for. Two other wonderful advantages of Dubai include that the sun always shines every morning. The weather is always warm and wonderful in Winter and Autumn. 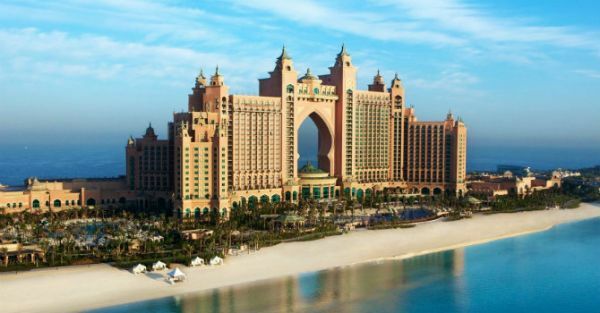 This grabs the attention of many Europeans to book Dubai holiday breaks. With direct flights from many European cities and the airport being only 4 kilometers away from the center of the city, Dubai city breaks have become quite popular among a large number of tourists. Among the most marvelous places to explore while in Dubai would be Burj Khalifa. This is the highest building in the whole world and the last floor offers superb views of the city. A visit to Burj Khalifa is a must for vacationers having a city break in Dubai. A desert safari is also one of the most exciting experiences tourists should never miss in Dubai. This is really awesome! You can watch some wild animals and also perhaps have a camel ride. This is besides enjoying the magnificence of the sand dunes and the Bedouins life in its own original habitat. Wondering around the city and window shopping are amazing in Dubai as well. The area where the Dubai Mall and the Opera is located is surely amusing. There is also the popular double decker bus that takes a wonderful tour around various places the city which is quite advisable to go to for those enjoying their Dubai mini break. At night Dubai sparkles with numerous activities to do. Wish to have an amazing cultural evening. There are always various art exhibitions, museums, lectures carried out in different languages. Want to dine? Dubai has more than 5000 restaurants serving everything you would ever dream of! Are you into dancing, clubbing, and partying? Dubai is truly your most perfect choice!